A large multi-node BBS where users from all over the world come to play Legend of the Red Dragon. The BBS hosts multiple LORD realms with different variations of IGM’s and settings. 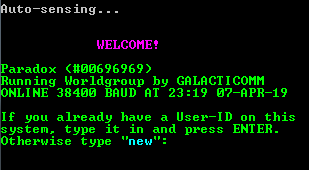 We believe that BBS DOOR GAMES can only be played one way, by dialing into a BBS! Retrodome is a colorful ANSI menu BBS loaded with Door Games. It’s a fun and functional trip down memory lane, enjoy!